Thanks for pointing this out!! 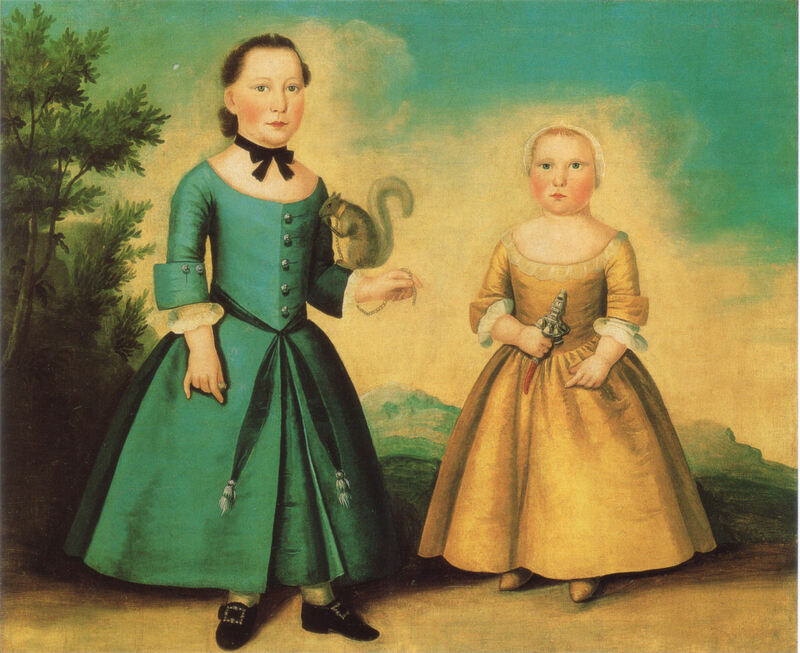 I understand why they didn’t opt for historical accuracy on this one, but boys wearing gowns as children is one of my favorite Colonial oddities and I wished they had included it. This trend lasted way beyond that period, too. I have a family photo of my grandmother and her siblings in the early 20th century, and her youngest brother is in a gown. They were immigrants from the Ukraine. I don’t have any little ones of my own, but it seems to me that infant gowns would make life as a busy parent a whole lot easier. They’re both economical and practical, especially for a large middle or working-class family. European history isn’t my area of expertise, but I wonder if there are still areas of Europe where gowns for toddlers (and beyond) are still common today. What a fun anecdote — thanks for sharing! Perhaps Sprout’s wealthy grandfather has servants churning out breeches for his grandchildren! Though, they must have been pre-made, as by the time they would have been finished, Sprout would have sprouted some more. Those knickers were adorable, I want the sewing pattern for them – anyone have any ideas where / how I can get one? Any thoughts about this kids blank, emotionless stare and the fact that he never makes a sound? Ive noticed that every time the kid is supposed to make a sound it is superimposed when his face is off screen. Cant find his name in the cast credits either… odd.